TV Stand. Ideal for a corner location. 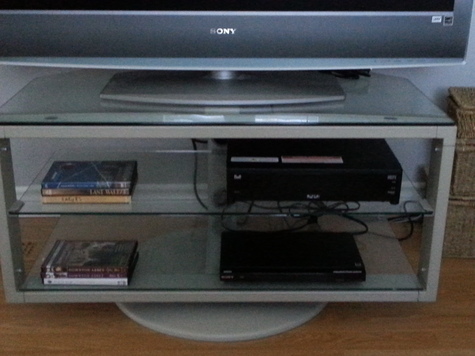 3 glass shelves, can support up to a 60 inch flat screen. Purchased from Ikea for $225.00. Mint Condition.